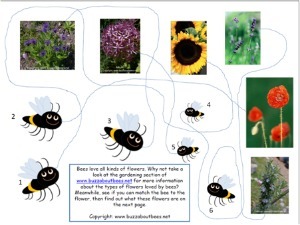 Here are a number of bee themed activity sheets for kids. 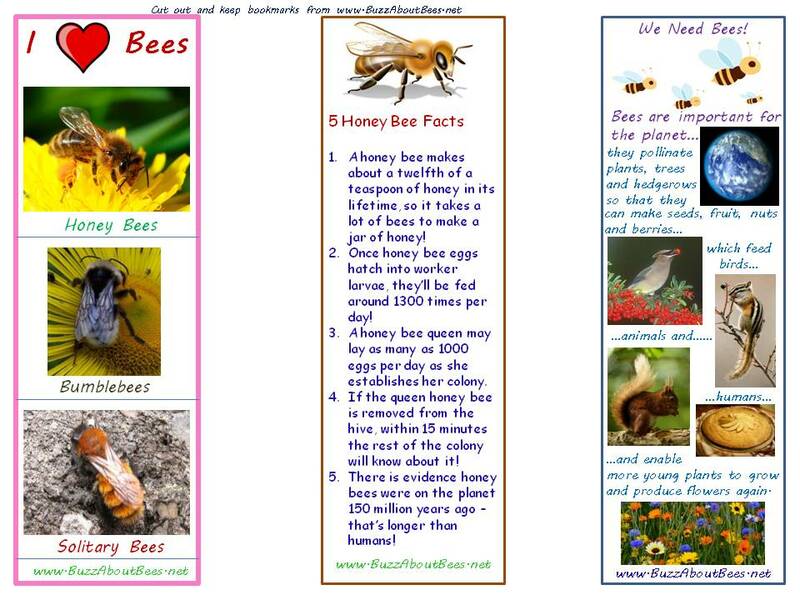 I created these myself as part of my desire to increase free resources for use with children, to teach and inspire them about bees. 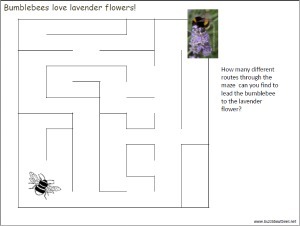 They are free to download and include educational puzzles as well as fun-sheets. 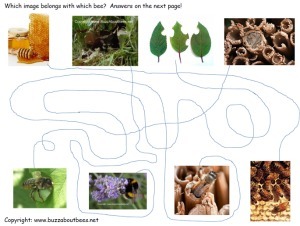 Some are educationally helpful about bees and pollinators, whilst some use bees simply as a theme. 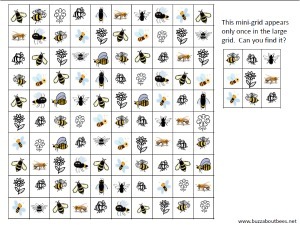 Feel free to download and print for use with children, for example in schools and activity groups. 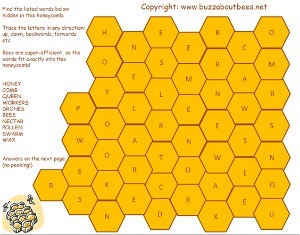 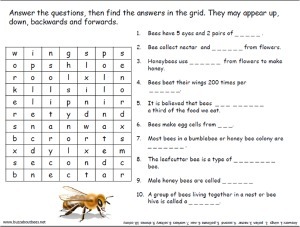 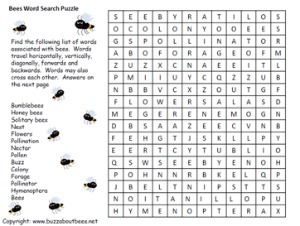 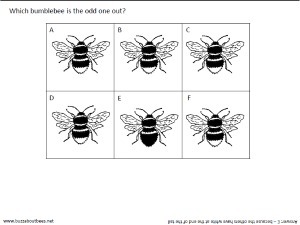 These puzzle and activity sheets remain the copyright of www.BuzzAboutBees.net, and may not be altered or distributed online without permission. 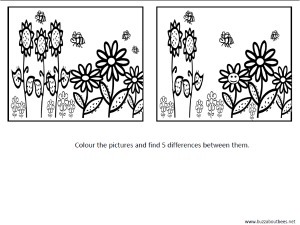 For more activity sheets, links to cut out and keep bookmarks, activities and craft ideas, as well as pages to paint and so on, please click here.